You spend two weeks away and the entire world goes topsy turvy. Yes it’s been two weeks away from Polyhedron Collider and since then there's been a whole bunch of news and that massive Gen Con thing, so it’s about time we caught up on what’s been happening and what the “Best four days in gaming” have to offer. 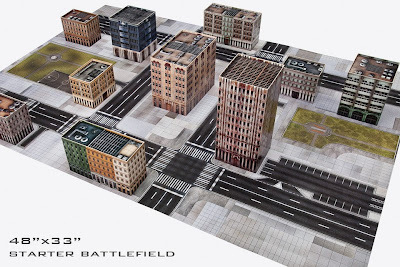 Just to mix things up a bit and because there's so much ground to cover we're going to have not one but four News Collider catch-ups, one for each of the four corners of gaming; board games, miniature games, card games and digital games. So get yourself comfortable as we recap what’s been happening over the few weeks in miniature gaming. 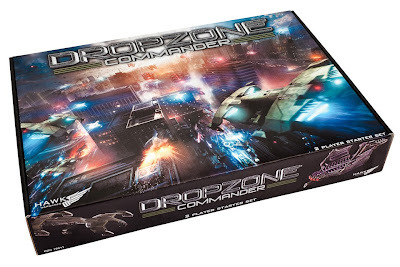 The most exciting piece of news for me has been the announcement by Hawk Wargames of the Dropzone Commander 2 Player Starter Set. 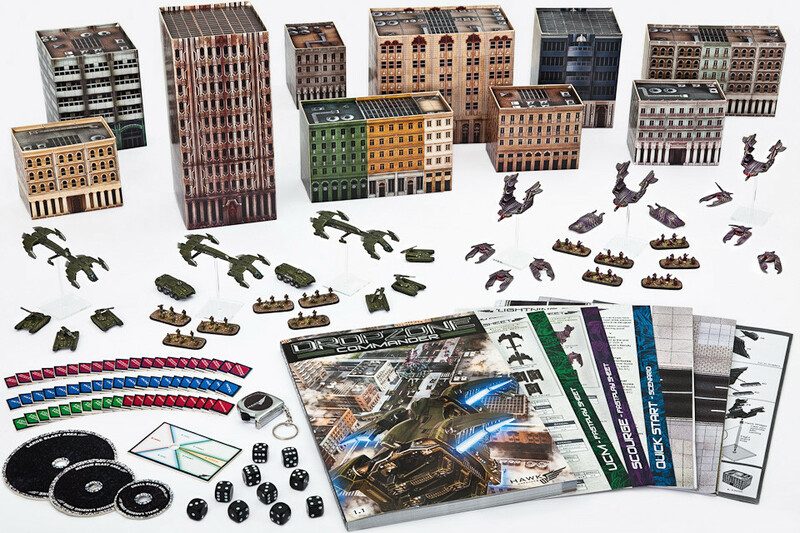 Not only do you get two starter factions in the new and nicely detailed plastic, but there’s also the full rulebook (yes full, not one of those Munchkin affairs) a host of datasheets, dice, tokens and even a proper tape measure. But the piers de resistance, the cherry on top of an already tasty and beautifully decorated cake, is the inclusion of a set of cardboard buildings and a city street play mat. You could argue that this is only just a bit of coloured cardboard but it gives you the chance to play right out of the box, no setting up a gaming table, no modelling trees or trying to paint a bit of polystyrene green, no just set it up on any table and off you go. This is a genius move and just what Dropzone Commander needs to take it to the next level. It is due out the end of September and has been added to my Christmas list (please Santa; I've been a good boy). So you're looking at the latest wave of X-Wing miniatures and wondering, like me, where can they go next? 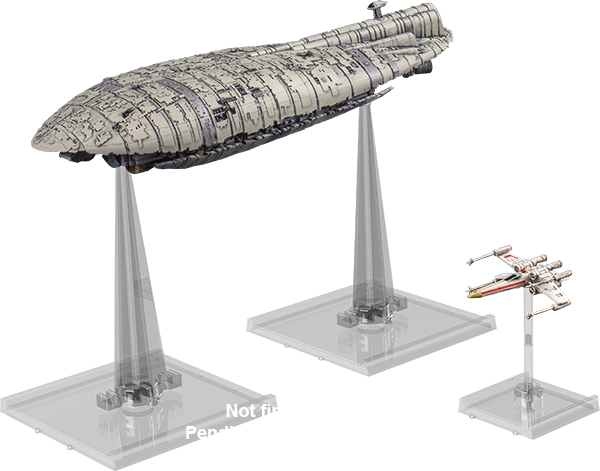 Well the only way is up and that means bigger ships and I mean much bigger ships. 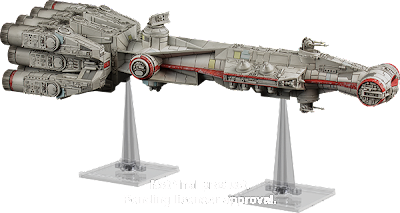 Fantasy Flight Games announced, and showed off at Gen Con, a rebel transport and blockade runner models for X-Wing Miniatures Game and these things are huge!! 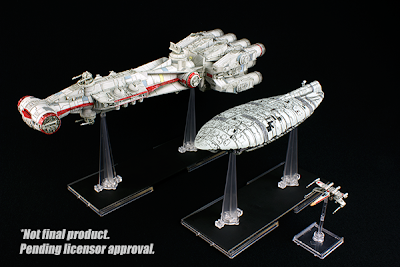 Just look at the size of that X-wing compared to the size of the blockade runner, we're going to need a bigger table. There is one slight problem; these ships aren’t at the 1/270 scale used by the existing ships. The press release from FFG suggests that these will be compensated for in the rules but isn’t clear if this is a separate rule set for the new scale or whether these are compatible with the existing ships. We’ll probably know soon.